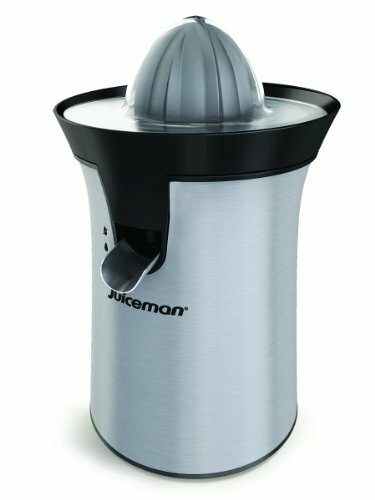 Enjoy freshly squeezed juice whenever you want with the Juice man Citrus Juicer. This simple juicer comes with two interchangeable juicing cones for different sized fruits allowing you to choose small limes to grapefruits and anything in-between. The pressure activated auto-start and auto-reverse juicing features make it easy to use. A pouring spout and pulp strainer allow you to finish the job without hassle. And you can toss the parts in the dishwasher when you’re done.